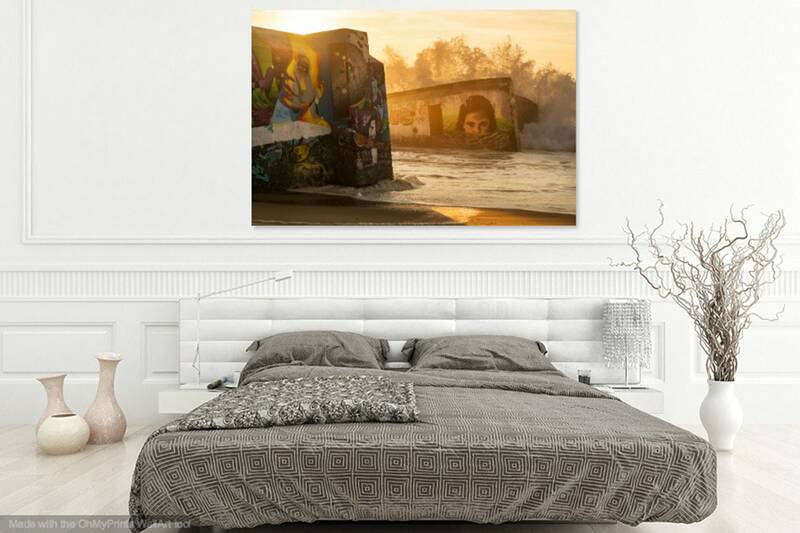 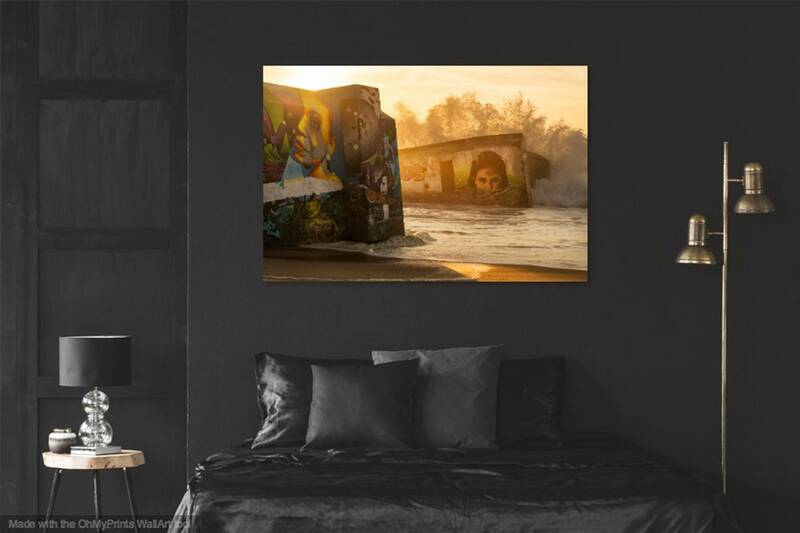 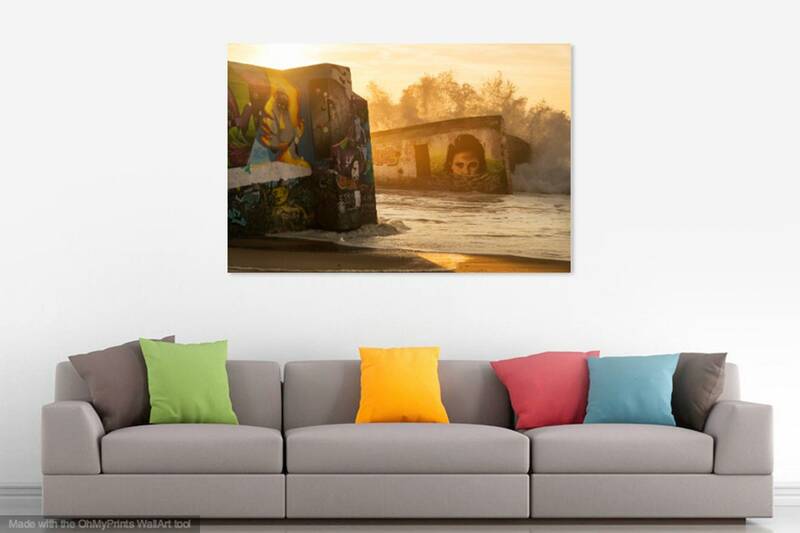 An unusual and unique colour print showing old concrete bunkers on the beach covered in colourful modern graffiti art. 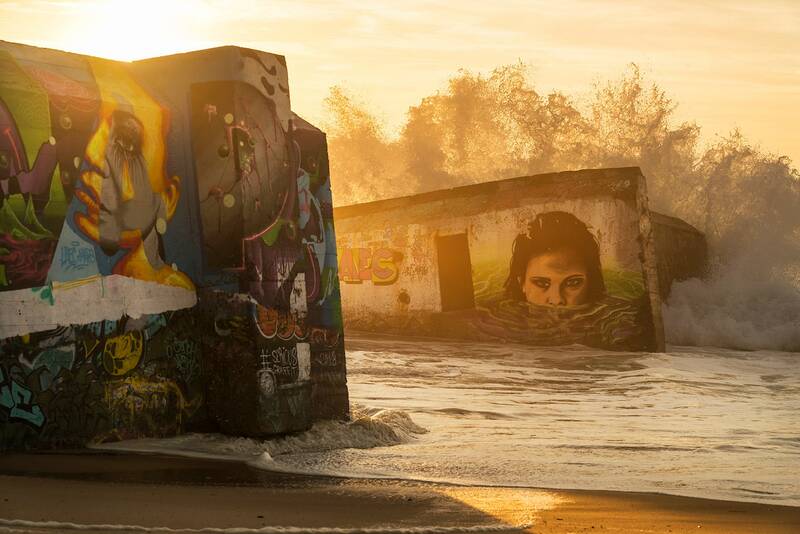 The waves are crashing against these old structures during sunset. 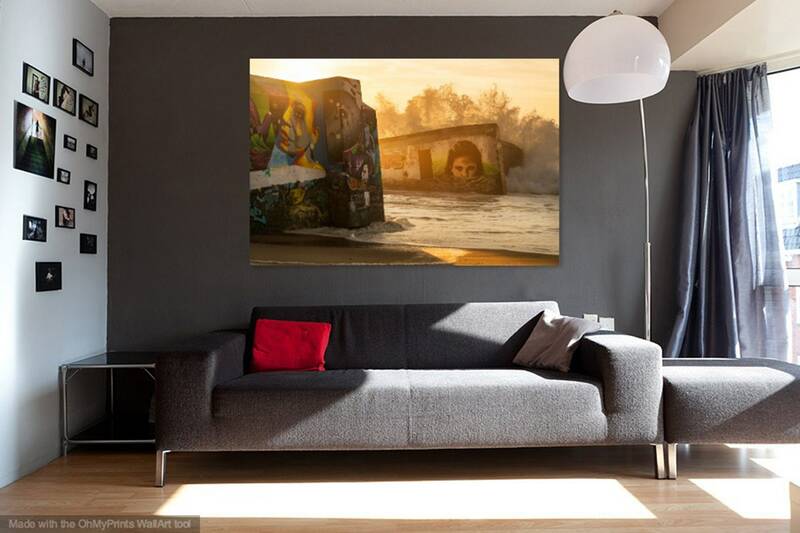 Image taken on 'La Piste' beach in Hossegor, France.